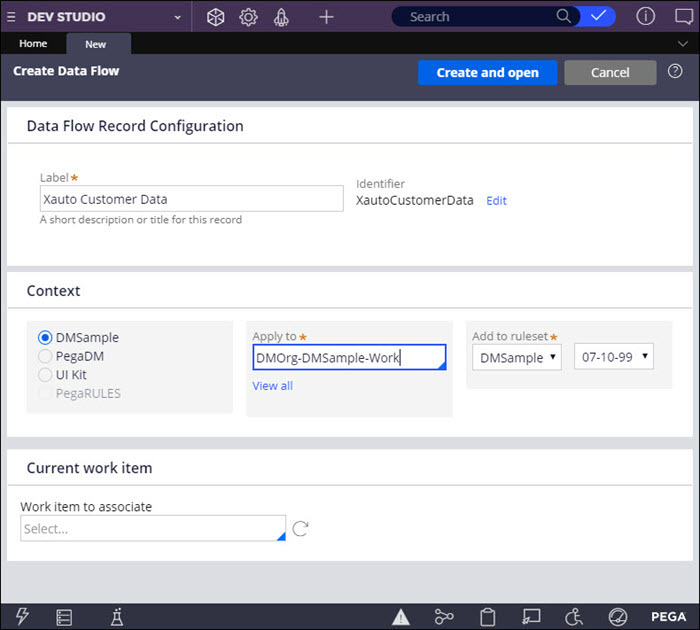 After you configure the remote data set that you want to use as the data source for your strategy, ensure that the data is ingested through the data flow from the remote repository to Pega Platform™ in the cloud. A remote File data set as the data source. See Configuring a remote repository as a source for a File data set. A local File data set where you want to import the remote repository data. 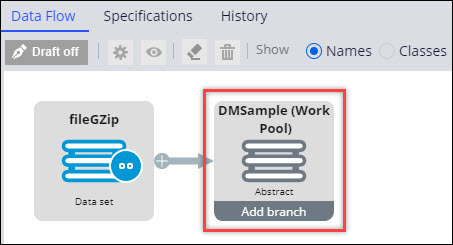 See Creating a file data set record for embedded files. 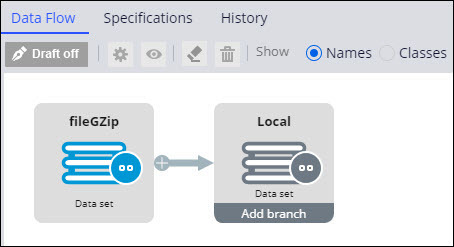 A Decision Data Store and start its data store nodes to run the data flow. See Configuring the Decision Data Store service and Managing decision data nodes. Click Create > Data Model > Data Flow. Ensure that you select the same Apply to class as the data set. From the Source list, select Data set. In the Data set field, select the fileGZip repository and click Submit. From the Destination list, select Data set. In the Data set field, select your local file data set. Confirm the data flow configuration by clicking Save. Configure a decision strategy and add it to the data flow to analyze the ingested data. For more information, see Strategy rules - Completing the New, Save As, or Specialization form. You can add other elements to your data flow to analyze and process the ingested data as needed. 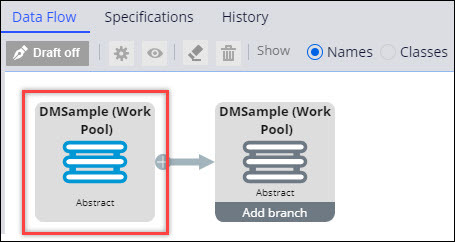 For example, you can add a Filter element to extract only the data for a specific customer type, or combine the ingested data with another data set by adding a Compose element. For more information, see Creating a data flow.